Concerns over Iran's nuclear capability have ratcheted up with UN inspectors raising doubts over Iran's claim that its nuclear ambitions are entirely peaceful. At the same time a shadow war is apparently being conducted on foreign soil as Israel threatens to strike Iran's nuclear installations. Meanwhile there are worries over neighbouring Syria, and with Russia and China who remain loyal to both rogue regimes. In a report published last week, the International Atomic Energy Agency said that Tehran had not cleared up questions about possible military aspects of its nuclear programme. The IAEA said Iran had stepped up uranium enrichment in recent months inferred the regime was trying to hide its ambitions as it failed to co-operate with UN nuclear officials during two sets of talks in Tehran over the past month [BBC]. The report came only days after the British Foreign Secretary William Hague warned of Iran's "increasing willingness to contemplate" terrorism around the world. Speaking to the BBC William Hague pointed to an attempt to assassinate the Saudi ambassador to the US, plus alleged involvement in recent attacks in New Delhi, Georgia and Bangkok. These incidents showed "the danger Iran is currently presenting to the peace of the world", Hague said. Much of the world is convinced that Iran is developing nuclear weapons. Even before last week's report the IAEA had presented evidence to suggest that medium-level uranium enrichment had begun at the Fordo plant near Qom in northern Iran. In its November 2011 report, drawing on evidence provided by more than 10 member states as well as its own information, the IAEA said Iran had carried out activities "relevant to the development of a nuclear explosive device". It did not give a timescale for Iran's ability to put together a bomb, but insisted that many activities carried out by Iran could only be used to develop nuclear weapons [BBC]. Iran insists that its nuclear programme is entirely peaceful, though doubts concerning their ambitions were further raised when President Ahmedinejad appeared on Iranian television overseeing an inspection of domestically made nuclear fuel rods, a development he described as a "very big new achievement" [Guardian]. But despite all the signs that Iran is close to developing a nuclear weapon some within the United States administration say the threat is overstated. Speaking days before William Hague raised his concerns, the US defence secretary Leon Panetta told a congressional committee that Iran had not yet decided to embark on a nuclear weapons programme. "The intelligence does not show that they've made the decision to proceed with developing a nuclear weapon. That is the red line that would concern us and that would ensure that the international community, hopefully together, would respond," Panetta said. But he was nonetheless adamant in his position concerning any move to develop an atomic bomb. "We will not allow Iran to develop a nuclear weapon," Panetta told the House Appropriations Committee's defense subcommittee on 16th February. Within two days of Panetta's statement Iranian warships entered the Mediterranean Sea for only the second time since the 1979 revolution [BBC]. The destroyer Shahid Qandi and its supply vessel Kharg passed through the Suez Canal but their destination remained unclear. Navy chief Admiral Habibollah Sayari told the Islamic Republic News Agency [IRNA] the mission was a show of might and a "message of peace", but it has been seen as further provocation by neighbouring Israel. The United States has sent several warships to the region including the USS Abraham Lincoln aircraft carrier [USA Today]. And in further racking up of defences the US military has spoken of its intention to modify weapons systems on ships in order to target Iranian fast-attack boats. 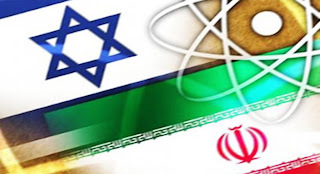 But while the US is preparing its own defences, there are concerns, even amongst military circles that Israel may launch a preemptive strike against Iran. There is the worry that any strike by Israel could provoke retaliation that could prompt US military action to defend its troops and key allies. And with an increased military presence in the waters near to Iran there is a growing risk of an attack on a US warship, something that could drag America into a larger conflict [USA Today / WSJ]. Vice Adm. Mark Fox upped the anti in early February when he told reporters at the headquarters of the 5th Fleet that the US was "ready" to confront Iran's armed forces [USA Today]. But there have been many voices calling for calm particularly aimed at Israel. In an article in the New Straits Times Fareed Zakaria suggests that Israel should learn to live with its belligerent neighbour rather than resort to war. He suggests that "absolute security is impossible to achieve" and that just as Britain and the US managed to live through decades of a tense stand-off with Russia and China over their nuclear ambitions and intentions, so Israel should re-examine its position. In particular he cites the editor of Foreign Affairs Gideon Rose who writes, "Israel is finally confronting the sort of choices the US and Great Britain confronted more than six decades ago. Hopefully it, too, will come to recognise that absolute security is impossible to achieve in the nuclear age, and that if its enemies' nuclear programmes cannot be delayed or disrupted, deterrence is less disastrous than preventive war." Israel may be difficult to rein in. Iranian Defense Minister Gen. Ahmad Vahidi has cautioned Israel against attacking Iran, warning of retaliation that would lead to the destruction of the Jewish state. In a statement released through Press TV, Vahadi said, "A military attack by the Zionist regime will undoubtedly lead to the collapse of this regime." And there were further belligerent statements coming from Ayatollah Sayyed Ali Khamenei who called Israel a "cancer that must be cut out". An attack on Iran "would be ten times worse for the interests of the United States than it would be for Iran"
Retired Colonel Stephen Ganyard told ABC that Israel was driven by the risk that Iran is burying its facilities so deeply underground that they will soon be beyond conventional weapon strikes. In Senate testimony in January, Director of National Intelligence James Clapper stated that Iranian officials, "are now more willing to conduct an attack in the United States in response to real or perceived US actions that threaten the regime." Clapper warned that Iran were willing to target US citizens on US soil. And ABC say that targets could include synagogues, schools and community centres. In what appears to be acts of retaliation Israeli interests have been targeted in recent day, though Iran denies any involvement. Israeli embassy workers in the capital cities of India and Georgia were targeted in terrorist attacks that Israeli officials believe were planned and carried out by Iran and its client, the militant group Hezbollah. A bomb in Tbilisi was defused, but another explosive device in New Delhi, planted in an embassy worker's car, detonated and injured at least two. Meanwhile police in Thailand say they are questioning several Iranians in connection with an alleged plot to attack Israeli diplomats that was foiled in early February after an apparent accidental explosion [Al-Jazeera / Reuters]. With continuing turmoil in Syria there are further complications for the West. Hezbollah, a powerful political and military organisation of Shia Muslims born out of Lebanon, has stated its loyalty to the Syrian regime. In December the leader of the terrorist group publicly announced it backed President Bashar al-Assad [NYT]. As recently as two weeks ago Hezbollah chief Sheik Hassan Nasrallah hinted at plans to target senior Israeli official while dismissing allegations the group was behind attacks in Thailand, India and Georgia as an "insult" [AP]. There are worries that any the whole region could become a blood bath as tensions grow between Israel and Iran, and the West push against the Syrian regime. Of major concern is the position of Russia and China who have blocked sanctions and criticised the West over its attempts to rein in both Iran and Syria [Reuters]. While there may not be a mood to become involved militarily against the West should hostilities between the West and Iran, it could create problems for both Russia and China. China, through its state run People's Daily, has criticised the United States calling it "super-arrogant" and questioned its motives in the region. The comments came after US Secretary of State Hillary Clinton criticised Russia and China for vetoing a UN resolution which had called for al-Assad to step down. "It is just despicable and I ask whose side are they on? They are clearly not on the side of the Syrian people," Clinton said. The critique in the People's Daily made the Chinese position more than clear. "The United States' motive in parading as a 'protector' of the Arab peoples is not difficult to imagine," the paper said. "The problem is, what moral basis does it have for this patronising and egotistical super-arrogance and self-confidence?" In a recent edition of Fareed Zakaria GPS on CNN, Roderick MacFarquhar, a Harvard University professor and China specialist, said that China was unlikely to resort to military action. "The Chinese don't want a conflict. The last thing they want is a war, because then everything is up for grabs," MacFarquhar said. But he said the country has to play carefully especially when it comes to rising nationalism, and it protection of its interests. "Nationalism, of course, is a two-edged weapon for the Chinese," MacFarquhar said, pointing particularly at Japan, "the favourite whipping boy of the Chinese blogosphere". Such commentaries as those seen in the Chinese press could be dismissed as rhetoric, but as tensions in the South China Sea seen throughout 2011 showed, such feeling can translate themselves into actions. It all comes down to a protection of interests. While China and Russia may recoil as pressure ratchets up against Iran or Syria, both countries may recoil. Their statements may become more forceful, but as has been seen in recent conflicts, neither country has been will to become engaged. Both countries failed to give support to NATO in Libya, nor the Gulf Wars, the strikes in Afghanistan or the Balkans in the 1990s. But neither did they do anything more than criticise. As the EU and US ratchet up the sanctions against Syria by freezing financial assets, the Assad regime may look to its allies for financial support [Telegraph]. If it gets aid from Russia and China, it will make the US position very difficult. Tacit support of the Iranian regime too, will also make dealing with China and Russia uncomfortable. At the very least a new Cold War could develop between Iran, its allies, and the West [BBC]. At worst a real war could become a wider conflict and even a Third World War [SMH]. A war would be "disastrous" for the US, Afghanistan, Iraq and the Middle East, Zbigniew Brzezinski told Fareed Zakaria on CNN this weekend. He suggested common sense would likely prevail and that Israel would not launch a pre-emptive attack against Iran, though he urged Obama to pressure them not to engage in a military approach. "We don't need to go to war, and we have to make that very clear to our Israeli friends," Brzezinski said. Whether or not there is a conflict in the region, the fall-out of possible hostilities has already manifested itself in the form of increased oil prices, a resource that some might argue is at the centre of much of the turmoil in the Middle East as a whole.